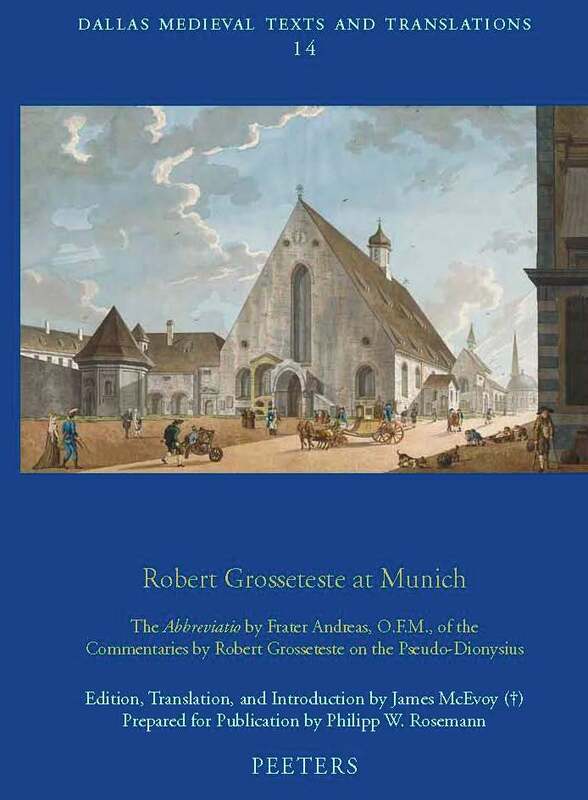 Robert Grosseteste at Munich: The Abbreviatio by Frater Andreas, O.F.M., of the Commentaries by Robert Grosseteste on the Pseudo-Dionysius. Ed. James McEvoy and prepared by Philipp W. Roseman. Dallas Medieval Texts and Translations 14 (Leuven: Peeters, 2012). The images above the menu on these pages are of Lincoln Cathedral.